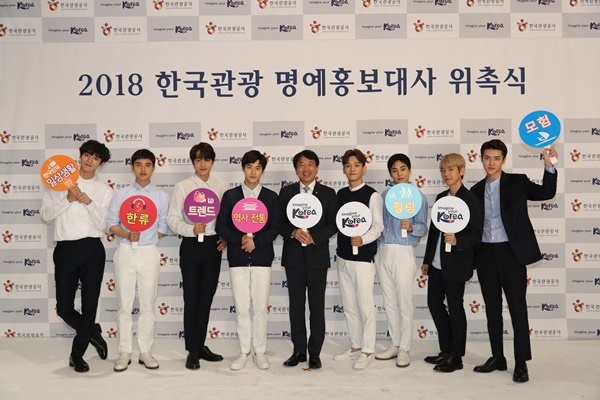 Korea Tourism Organization has appointed popular K-pop idol group EXO as Korea Tourism Honorary Ambassador for 2018 to attract and increase international visitors. EXO members will be appearing in promotional videos that showcase unique experiences in Korea from the perspective of international tourists. 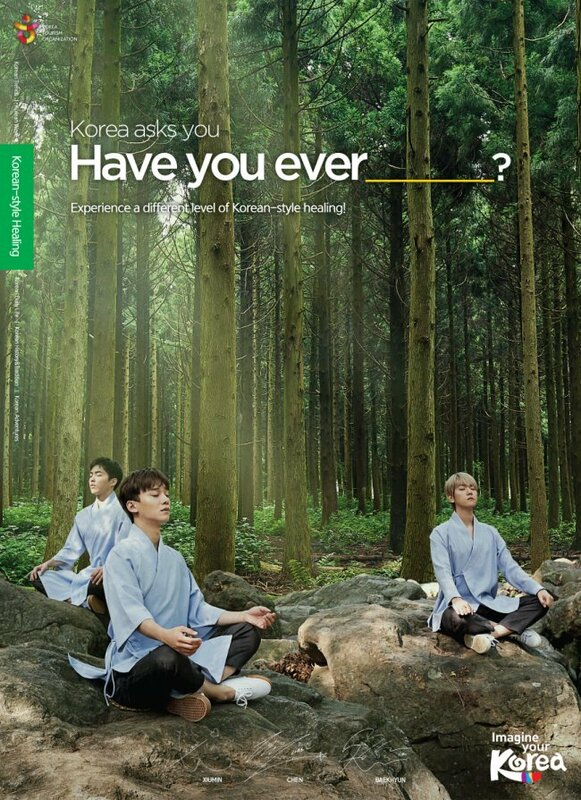 The campaign slogan "Korea Asks You: Have You Ever?" The all-boy band EXO is an iconic K-pop idol group under SM Entertainment, agency known for internationally popular TVXQ and BoA. The group also made an appearance at the PyeongChang Olympic Winter Games ceremony event and presented the audience with a remarkable performance. EXO is popular both in and out of Korea, boasting a great number of fans in Japan, China, and even in regions of North America. Along with BtoB, another popular K-pop idol who was appointed honorary ambassador in March, EXO will use their talents to their fullest to promote Korea to the world. Earlier this month, EXO members appeared as the main cast in six different promotional videos that introduce Korea’s tourism divided in themes of history & tradition, Korean’s everyday life, adventure, trend, healing, and Korean wave. These videos had been released through television, Youtube, Facebook, and other digital marketing media.